I don’t know quite what I was expecting when I walked into a screening of The Favourite at The Michigan Theatre. I had heard it described as a dark comedy, while other people had told me definitively that it wasn’t a comedy. I knew it involved queer relationships, but people had also told me not to think of it as a gay love story. Emma Stone was the only actress with whom I was very familiar, and her own past filmography has been so varied that it was hard to predict what type of role she was going to play. As a result, it’s saying something that even throughout the length of The Favourite, I still struggled to pinpoint exactly what type of a movie it was. This isn’t meant as a slight. The movie is of course a historical drama, set during the reign of Queen Anne in Britain during the early 18th century. The comedic elements, although dry and often subtle, were often at the forefront of the screen, from the petty arguments and witty bickering between Sarah Churchill (Rachel Weisz, The Lobster) and Robert Harley (Nicholas Hoult, Mad Max: Fury Road) to visual jokes, like Robert Harley pushing Abigail Masham (Stone) into a muddy ditch. 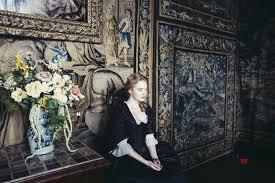 The romance took a backseat to the drama, to be sure, and The Favourite could not quite be classified as a romance film. 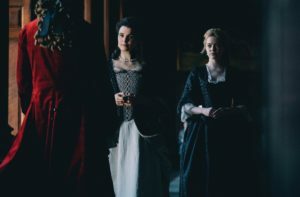 However, a major element of the emotional weight of the end of the film was the factor of Queen Anne’s (Olivia Colman) discarding of Sarah, which only landed in the way that it did due to these characters’ romantic history. 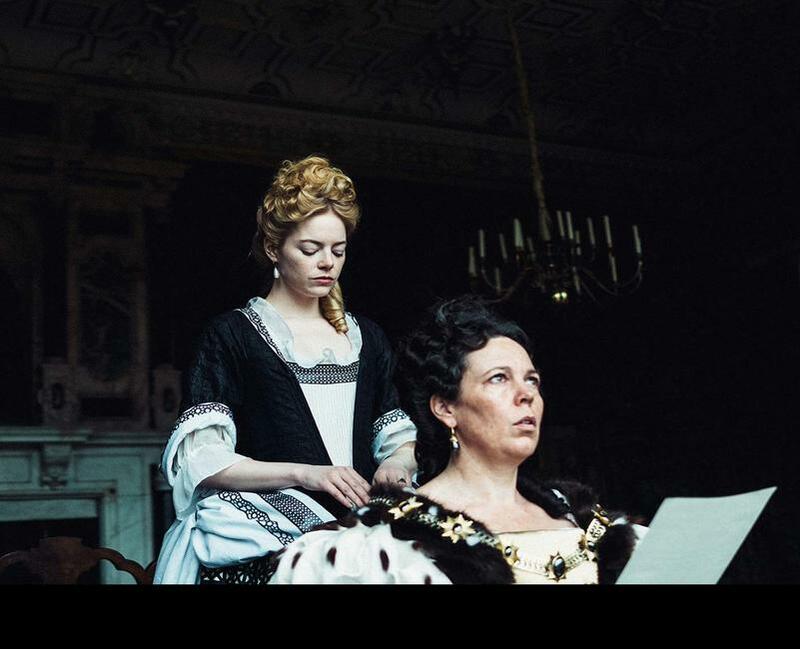 The Favourite is a difficult film to characterize, but this lack of definitiveness is done purposefully and well. At its core, The Favourite is about manipulation, which is why it feels fitting that even as the three central characters — primarily Sarah and Abigail — manipulate each other, the film is also manipulating its viewers. It is tempting to side with Abigail for much of the first half of the movie, as she is constantly undercut and underestimated by the other characters. Abigail seems kind and relatable, bringing Anne medicine for her pained legs and shrugging off the advances of Samuel Masham (Joe Alwyn, Billy Lynn’s Long Halftime Walk). She is also in competition with Sarah for Anne’s attention, and Sarah, while at times genuinely funny and surprisingly endearing, can also come across as intimidating (especially to a new servant like Abigail), vindictive, and callous. In the end, though, the film makes a point about the tremendous bearing that wealth and stature can have upon the way that a person acts. When Abigail ultimately succeeds in becoming Anne’s “favourite” and edging Sarah out of the queen’s inner circle, it becomes clear that she was truly the vindictive one all along, motivated by material gain and greed rather than by any real attraction to or interest in Anne. When Sarah is distanced from the queen and then exiled, she comes across as emotionally closer and more attached to Anne than ever before. Anne herself, as the queen, is in a position to take her wealth and status more for granted than the other characters, and therefore exerts the bulk of her emotional energy on her own profound loneliness and despair. The Favourite ends with an incredibly sad, grave, loneliness-oriented scene, far from the comedic and more lighthearted elements that punctuated the film earlier on. And yet, despite some of the seeming tonal shifts, it feels apparent that this gravity was what characterized the film from the very beginning. On the one end, this movie is about three women possessing varying degrees of power, each able and willing to do various things — some of them outrageous things — in order to gain and maintain this power. On the other hand, it simultaneously perfectly captures the notion of desperation, of seeking all of the material promises of a good life — wealth, power, beautiful objects, political sway — only to be crestfallen upon the realization that these gains have come at the cost of forsaking true and meaningful companionship. Each of the three characters embodies some angle of this concept by the end of the film, completing a trifecta of powerful acting and storytelling. The Favourite is currently playing at local theaters such as the Quality 16 and the Ann Arbor 20 IMAX.